It’s that time of year, the time when parents are bombarded with emails and snail mails asking them to send their children to camp. While there are many different kinds of camps that focus on everything from making your child the next Peyton Manning to teaching them how to audition for Broadway, every child should have the opportunity to experience a good, old-fashioned outdoor camp, especially girls. Why, you ask, is it so important to send my daughter to camp? Simply put, there are things that your daughter will learn at camp that she might never learn at home, and I don’t mean building a fire or pitching a tent, though she may learn those skills as well. The truth is that there are things that are much more important that she will learn to do that you can’t teach her but that she can learn on her own through experience and observation. How do I know this? Because after twelve years of volunteering at an all-girls camp and ten years of running the camp, I have seen it happen over and over again. It’s raining today, and your daughter refuses to go to school because she has to walk from the front door to the car. Imagine her running, giggling all the way, from her cabin to the unit house to play games with her friends until the rain passes. Imagine her swimming in the rain (as long as there’s no thunder and lightning), not only without complaint, but without even noticing the falling drops. When it rains at camp, the activities must go on. The lesson leaned – life goes on. Just because something comes along that we can’t control doesn’t mean we throw in the towel. As long as it’s safe, everything continues. And if it’s not safe to be outdoors, we improvise – games and activities inside the program center, extra snacks, maybe even a movie, whatever it takes to keep having fun. Life throws you curves, and time at camp teaches girls that they can hit a home run no matter what the pitch is. Whether it’s a meal she would never eat at home or an activity she would never dream of trying, camp is all about doing something new. We once had a girl at camp who quickly gained the nickname, Carrots, because, as you may have guessed, she would eat nothing but carrots. By the end of day two, she was trying new foods and asking for seconds. Camp makes you hungry! And if all of the other girls are eating it, there’s a good chance, she will, too. The same goes for trying things that she might never do with or for Mom. No offense moms, but there are far too many times that we don’t push our daughters to do challenging or even scary things because, well, because they’re our daughters. Part of it is the fear that something will happen to them, and part of it is because we often don’t give them credit for being able to do it, or, let’s be honest, we don’t want to do it ourselves. There are few things that get me smiling more than watching a little girl go from crying her eyes out and refusing to even climb the ladder to hearing her squeals of delight as she glides through the air on a zip line. The satisfaction comes not from knowing that she was talked into going, but from knowing that she convinced herself that she could. There was once a little girl at camp who cried herself to sleep every night. She cried through programs, she cried through meals, she cried through swimming and archery and everything else that the other girls did with joy. This year, that little girl is the floor manager at CNN and an adult camp counselor. She has been coming since the age of five, through grade school, middle school, high school, and college. She comforts little girls and tells them her story. After twenty years of coming to camp, she boasts that there isn’t any place she’d rather be. Whether it’s zip lining over a deep ravine, being away from Mom and Dad, or surviving thunderstorms and spiders, girls leave camp knowing that they can overcome anything. And nine out of ten of those girls will be back the next year. There is so much that girls can learn and discover at camp, and some of them might surprise you. Inner city girls come to camp and see giant, sunbathing turtles for the first time. Girls with no siblings learn to share a room (actually, a cabin or a tent) and eat at a table of twelve talking, laughing girls. First time campers feel the power that comes with spending the week away from home. More importantly, girls learn tolerance, respect, and empathy. This past year, we had a little girl with autism attend camp for the first time. At first, the other girls weren’t sure what to think about Brie (pictured above). Some may have been scared, and several were apprehensive about being near her or working with her because they recognized that she was different. It didn’t take long for them to see her as a beautiful, loving, intelligent girl who isn’t really any different than the rest of them but who just needed their assistance and their patience. While Brie’s mother felt that her daughter left camp having learned so many new things, it was really the staff and the other campers who truly learned the most. We are all better for spending the week with her. The vast majority of girls who return to our camp have one goal in mind – to keep coming long enough to become a teen counselor. Those ultra cool young ladies who brush hair, hold hands, dry tears, and read stories are the envy of every little girl at camp. The girls want to grow up to be just like those teens with intriguing camp names like Giggles, Broadway, Twizzler, and Trouble. That is quite an honor because those teenagers grow up to be remarkable young women. Many of them, like Tinkerbell who works at CNN, continue coming to camp through high school, college, and beyond. One of our counselors is a schoolteacher who comes to camp every year with her own daughters. She has been coming since she was in grade school. We have several college girls who plan to be doctors, nurses, and lawyers. We have adults who are in those fields and others: a school administrator, a former crime scene technician, heck, even a published author. Many of our all-volunteer staff went to camp themselves, either at our camp or a similar one. They know the importance of instilling goals and confidence in our campers so that they can be the leaders of tomorrow. So before you delete that email or throw away that brochure, picture your daughter. Not the daughter you live with, the one you see every day, the one you dress and coddle. Picture your daughter as an independent, self-confident, successful adult. She can get that way through a number of routes, but the one she will always remember and want to return to again and again is an all-girls summer camp. She will develop friendships that will last a lifetime and memories that will both entice and inspire her to become the person you always knew she could be. What more could you ask for? I recently realized that I am no longer of the age when my friends are getting married. I am now of the age when friends of my daughter are getting married. How did that happen? Rebecca, who will be a senior in college next year, already has a friend who has graduated and gotten married and others who are now becoming engaged. It’s strange to think that sometime in the next five years, Rebecca will probably be thinking about taking that next step. What’s even scarier is that I’m not sure young people today have any idea what marriage really is. Honestly, did any of us actually know what was involved when we took those vows? Were we simply planning for that one day, or truly thinking about for our future? Perhaps it has been the same through all generations, but today it seems that marriages are disposable, vows are no more than wishes, commitments are fleeting. I pray every day that I have instilled in my daughters what marriage really means – both the good and the bad. Here are some of the things that I learned over the past twenty-two years. Love (and thereby, marriage) does mean having to say you’re sorry. I’m sorry, Ryan O’Neal and Ali McGraw. It’s a nice sentiment, but nobody is perfect, and we all make mistakes. Owning up to those mistakes is one of the most important things to learn and actually do. Resentment is too easily built up, so while those simple words, “I’m sorry,” can’t take away the pain, they can open the door to healing for both of you. It’s okay to go to bed angry. I know, you’ve heard otherwise your entire life; but sometimes, in order to say “I’m sorry” to someone else, you need time to realize that the words are true. Nothing beats a good night’s sleep, and perhaps a good cry on the way there, to be able to recognize that things are never as bad as they seem. Moreover, trying to get to the place where you’re no longer angry is not easily done in the heat of the fight. Sometimes, the sooner the conversation ends, the better. Put away your phones, turn off your TV, curb your social life, and spend time in conversation. Remember back when you were first getting to know each other? All of those hours spent in conversation over dinner, on the phone late at night, or even using FaceTime were all meaningful. That’s when you opened up to each other, let out your feelings, your doubts, your fears, your hopes, your wishes. Don’t ever let that end. I remember once, when Ken and I were first married, we were out to dinner and engaged in conversation when Ken just stopped and motioned to an elderly couple across the restaurant. Ken observed, “They haven’t said one word to each other all night.” He looked at me and said, “Let’s never let that happen to us.” Yes, I admit that there are times when it’s nice to just be quiet and enjoy the moment, but those times when you can sit and talk without distraction are so rare. Take advantage of them. It’s all right to argue and disagree. Sure, you stand before God and declare that you are now one, but let’s get real. You are you, and he is he (or she is she). You will not always agree, even on the big things. It isn’t the argument that counts. It’s making sure that you find a solution, a compromise, or a way around the situation that you can both live with. You won’t win every argument, but neither should he. Marriage is give and take. Learn that quickly, and deal with it. Hold hands. Cuddle. Sleep curled up together. Kiss hello and goodbye. Never lose the desire to touch the one you love. Once you learn to live without the other person’s touch, you will lose the need for it. Intimacy holds a marriage together. Nurture it. Every day. Speak kindly to one another. Full disclosure here. This is the one I have the hardest time adhering to. I am impatient and often intolerant. I expect everything to be done on my timeline and in my way. While I have the skill to be tactful (a former boss always sent me to deal with problem patrons because she knew I could be tactful yet get to the point), I don’t seem to have any idea how to use that skill with those I love. I try to always be kind. I teach and preach kindness, but my tongue is often quicker than my brain, and it gets me into trouble. I promise to work on that, and I encourage you to do the same. It’s the hardest habit I’ve ever tried to break, but I work on it every day. Actions may speak louder than words, but words can cut right into someone’s soul. For those who are making their wedding plans as I write, always remember that the marriage is far more important than the wedding. Enjoy the time spent planning it, and know that it will not be perfect. Some small thing, or dare I say, maybe a big thing, will go wrong. Move on. It’s a day, not a reflection of the rest of your life. Face it with love and humility. Take your vows seriously. Stand up before your friends and family in an actual church. The reception can be wherever you want, but treat your marriage like the sacred event that it is. Pray for your spouse and your marriage every day. Ask God to be a part of it, on that special day and always, for He is the rock upon which you can build a strong foundation. 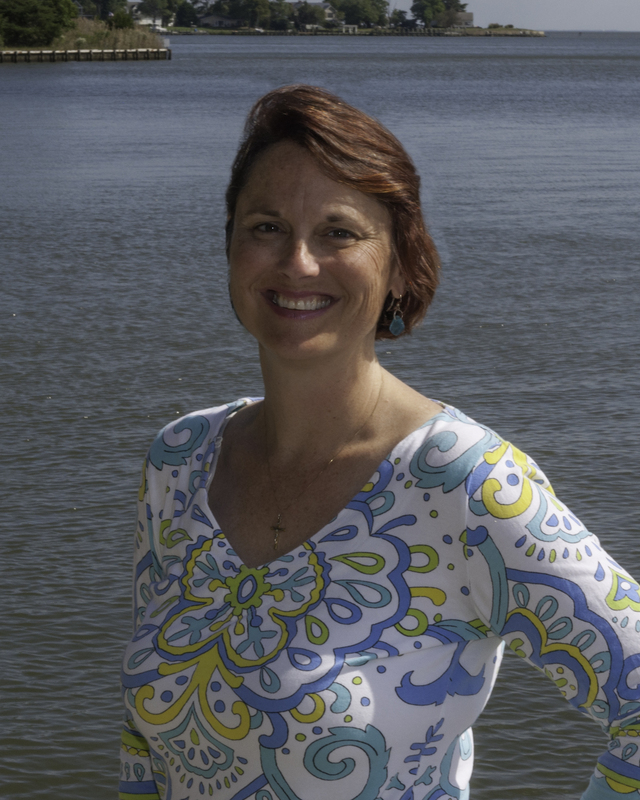 Amy Schisler is an author of both children’s books and novels for readers of all ages who lives with husband and three daughters on the Eastern Shore of Maryland. Her latest book, Picture Me, is the recipient of an Illumination Award, placing it among the top three eBooks of 2015 as chosen by a group of independent Christian publishers. You may follow Amy on Facebook at http://facebook.com/amyschislerauthor on Twitter @AmySchislerAuth, on Goodreads at https://www.goodreads.com/amyschisler and on her web site http://amyschislerauthor.com. When I was growing up, most Sundays were for going to church, enjoying a large, family breakfast, doing homework, and perhaps seeing a family-centered matinee (or in later years, renting a movie). But from the first weekend of August through the month of January, Sunday afternoons were spent with the Washington Redskins. I grew up in a great era for Washington football. In my younger years, there were Sonny, Charlie, and Ritchie; and in my teens, we had Joe, Riggo, Art, and the Hogs. The team wasn’t always good, but it was always there, like family. Okay, I admit it. When I was a little girl, I hated football. And I do mean, I hated it. I dreaded football season when my brothers wore nothing but numbered jerseys emblazoned with the names of their favorite players, my mother screamed at the TV and playfully punched anyone near her when something distressing happened, and meals during 4:00 games consisted of pizza and cheese and crackers. No matter my feelings for the game or for the antics of my family, I had to endure those three hours every Sunday as if they were part of a sacred ritual. I was allowed to read, do homework, even sleep, but I had to be in the room with my family. Eventually, Redskin fever took hold of me. I was 11, and I discovered something never before realized in my pre-adolescent brain – boys liked football. And at 11, I realized that I liked boys. I never knew until that year just how much I had learned by osmosis; but that season, the season of the Hogs at their best, when Joe and Riggo took us into battle against the Miami Dolphins and pulled out a Super Bowl victory, I figured out that I could join in any conversation the boys in my class were having that involved football. It was an eye-opening revelation. When the team rolled into Washington, D.C. for their victory parade, my family was there. An advantage of going to a private school near the District – our principal actually closed school that day so that those who wanted to could attend the parade. I still have very fond feelings for Sr. Victoire because of her understanding of the importance of the game to families. A game that, as quoted in the movie, Concussion, “is a mindless, violent game. And then it’s Shakespeare.” And in my house, it’s more than a game, more than a story; it’s family. It’s about a family watching the game, talking about the game, and spending time together (even if some members of the family are reading or sleeping rather than watching). Ironically, my husband was not a sports fan when we met. For our first “date,” I invited him over “for dinner and the game.” It wasn’t until after we were engaged that he revealed to me that he had no idea what I was referring to by “the game.” After twenty-two years of marriage, I can happily report that he is a fan. Unfortunately, having all daughters, it is a challenge to get our children even interested in football. Our oldest will watch for a little while before becoming bored and complaining that the game is too complex, too hard to follow and understand. And she’s right. For those who don’t pay attention and learn the intricacies of the game, it is hard to follow and understand, but for those who take the time to learn it, football is a ballet involving the mind and the body that is danced on a 100 yard, green stage. Sadly, I can no longer ply my girls to watch by using the logic “boys like girls who like football” because my girls are growing up in a different world where video games and personal electronics trump watching real, live sporting events. While most of the boys my girls have dated claim to have a favorite team that they follow, none of them actually watches the game. It breaks my heart, to tell the truth, that children today won’t experience the bond, forced as it was at times, that my family experienced. Football is just one more thing that families no longer do together, and it’s a shame. The good news is that my girls will share the love of a sport with their children – they are huge hockey fans. But in my house, win,lose, or tie, football will always mean family. Amy Schisler is an author of both children’s books and novels for readers of all ages who lives with husband and three daughters on the Eastern Shore of Maryland. You may follow Amy on Facebook at http://facebook.com/amyschislerauthor on Twitter @AmySchislerAuth, on Goodreads at https://www.goodreads.com/amyschisler and on her web site http://amyschislerauthor.com. You spend your life wondering who you are, why you are here, what you are supposed to become. You ask why others don’t understand you, and you worry that it is you, and it is, and that’s okay. You see, you are the elusive cloud they cannot touch, the raging river they cannot stop, the strong wind they cannot harness, the force they cannot control. They look at you but do not see you, hear you but do not listen, follow but cannot catch you. For you are years ahead of all of them, and wiser beyond their grandest ideas. You are the sun that lights the day, and the stars that illuminate the night. You are wind in their hair, the rain on their face, the ground beneath their feet. Though you may not see it, you have the power to warm people’s hearts with your love and your gift of empathy. Your radiant and effusive joy sparkles even in the darkest times. You have the ability to move people and things even when they seem immovable through your compassion and gentle ways of persuasion. You help people grow with your insight and wash them of their sorrows with your sympathetic hugs and soothing words. You are a foundation upon which others will build their own future, for you provide a loyal and stable base for everyone you know. Always remember that God did not make you half a person. You do not need a significant other to complete you, but to complement you. You will be successful whether you are alone or surrounded by others because you know who you are and what you believe. You will find a way in the darkness and through life’s storms because your faith will always lead you to the light. You will know love and heartache and joy and despair, and you will feel them all deeply, but you will persevere because you are the strongest of the strong, even in your weakest moments. Do not judge yourself by what others say or how others treat you. You have weathered it all and have come out on top and will continue to do so. You are a fighter, a healer, a lover, and friend. You are the best of everyone you know wrapped into one package. Never forget that you alone will decide your course in life, but everyone around you will need your love and support to see them through, for you are a pillar standing tall, a beacon in the night, a refuge in the storm. Most of all, you are strong, you are kind, you are love. The world is blessed because you are in it, and I am blessed because you are my daughter, and in your eyes, I see all that is good.